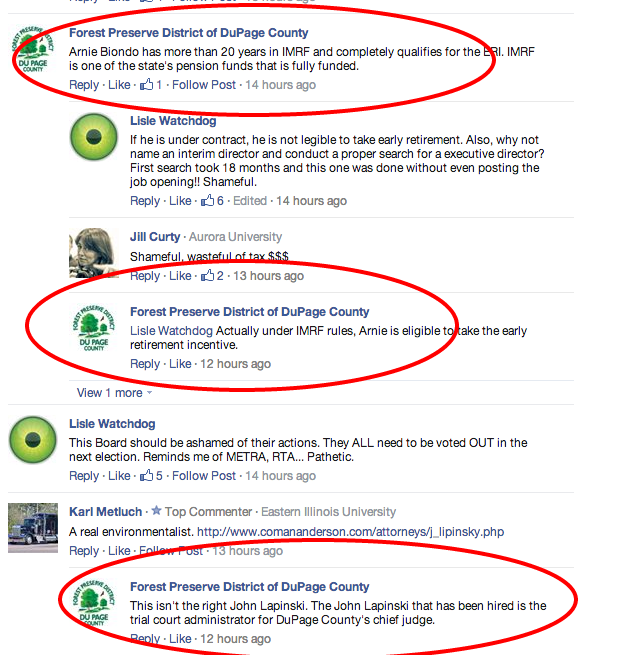 News out of DuPage County this morning is that Arnie Biondo, the Executive Director of the DuPage Forest Preserve District - which is separate from the DuPage County Board - is taking an Early Retirement package just seven months after he started and via a tool that he helped convince the board to pass. Listen...we totally get that this *technically* is legal and everything went according to the rules. But...how can we, as taxpayers, not be totally fed up with this kind of stuff? The only way we change this is get folks into spots on local government who can help shut these type of situations down. The worst part? I have a feeling that the majority of the board is made up of Republicans. We need a change here, guys. That's the only way we're going to win taxpayers trust again. DuPage County Forest Preserve commissioners ended two weeks of speculation on Executive Director Arnie Biondo's employment status by naming his replacement Tuesday. John Lapinski, 53, the trial court administrator for DuPage County's chief judge, has signed a three-year contract that will pay him $160,000 a year, officials said. He will assume his new duties on Oct. 1. Biondo, who signed a three-year contract in December with a $188,000 annual salary, will take advantage of the early retirement program he helped implement a few months ago. 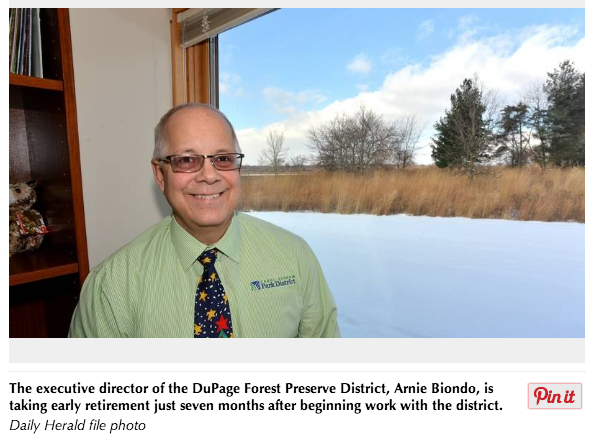 "Our previous executive director, Arnie Biondo, took it upon himself and made the decision to avail himself of the early retirement program, and he is going to take that next step in his life," DuPage County forest preserve President Dewey Pierotti said. Biondo's retirement is effective Sept. 2. He has been on paid leave for the past several weeks and will remain so until his departure date. District spokeswoman Susan Olafson said the exact worth of Biondo's retirement package has not yet been determined. He'll be getting his retirement through the Illinois Municipal Retirement Fund, she said, "so that's all he'll be receiving. There are a host of considerations before IMRF provides us with a final calculation." Neither Lapinski nor Biondo attended Tuesday's meeting. Biondo's departure comes just weeks after the search firm that found him asked commissioners to evaluate his performance. The results of that survey haven't been released, but not everyone was happy with his performance. What's interesting to us is that government funded comms people are wading into the comment section of the story and trying to defend the deal.